For Pollinator Awareness Week here’s a quick guide on ten ways you can help pollinators in your garden whether you rent it or not. Variety is key. The more different flowers you plant, the more likely you will attract a range of different pollinators. For example, studies have shown that bees have gone to marjoram flowers, whilst butterflies preferred Bowles mauve. When you are out take note what plants are buzzing with bees, hoverflies and butterflies and remember that there are many more plants out there than buddleja to attract these beauties! By having flowers in your garden throughout the season you will be providing food for the early pollinators as well as the ones still taking advantage of the milder autumn days. Primroses Primula vulgaris are a great plant for spring pollinators whilst ivy Hedera helix is an excellent late-flowering plant. 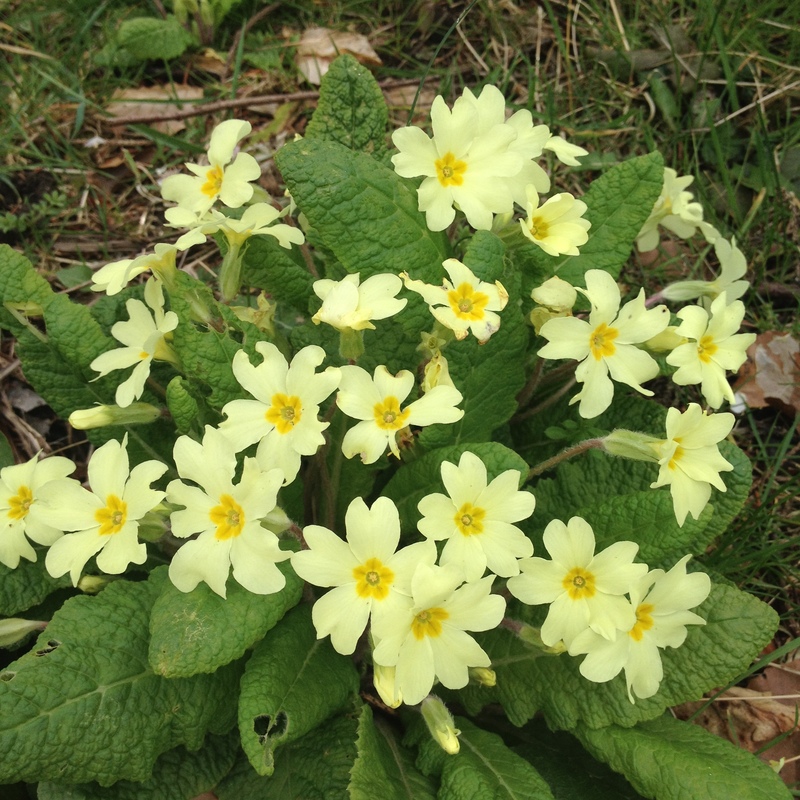 Native primroses are edible too! 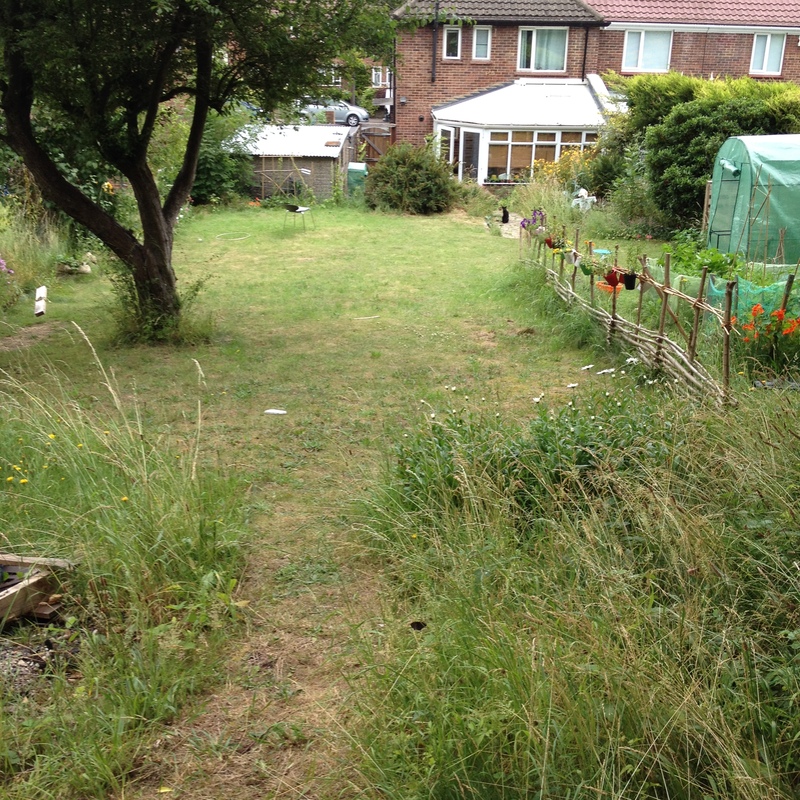 By leaving the grass to grow long (or even just a little patch) will help to attract butterflies such as meadow browns, speckled woods and ringlets who use grasses such as cocksfoot Dactylus glomerata as a larval foodplant. Grass also provides a home for many other invertebrates too as well as creatures such as frogs, toads and slowworms. I keep finding many teeny froglets in our long grass. 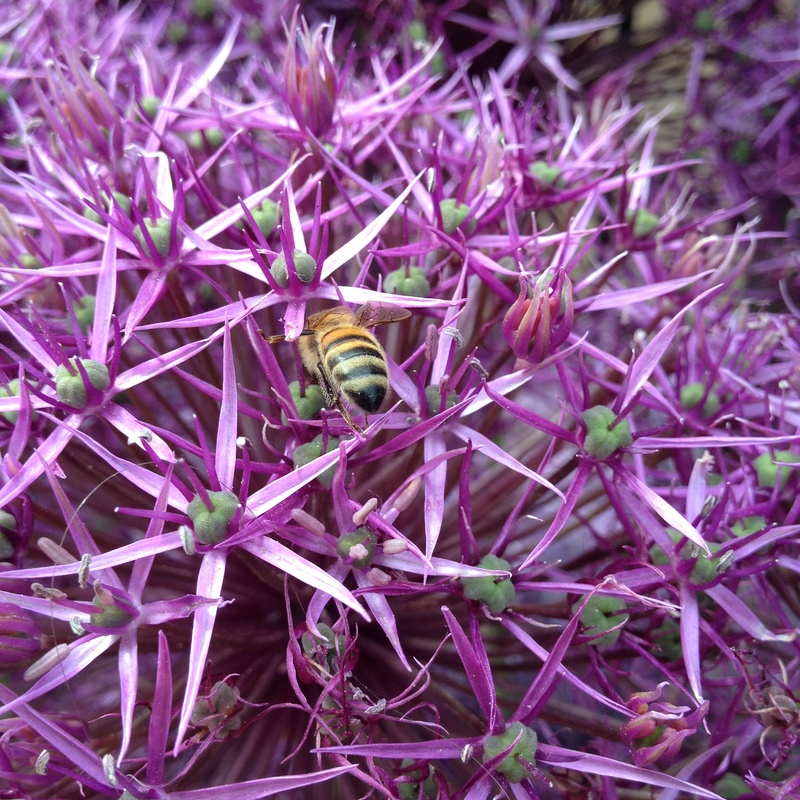 Many of our pollinators have adapted to use our native plants either as a nectar source or as a larval food. 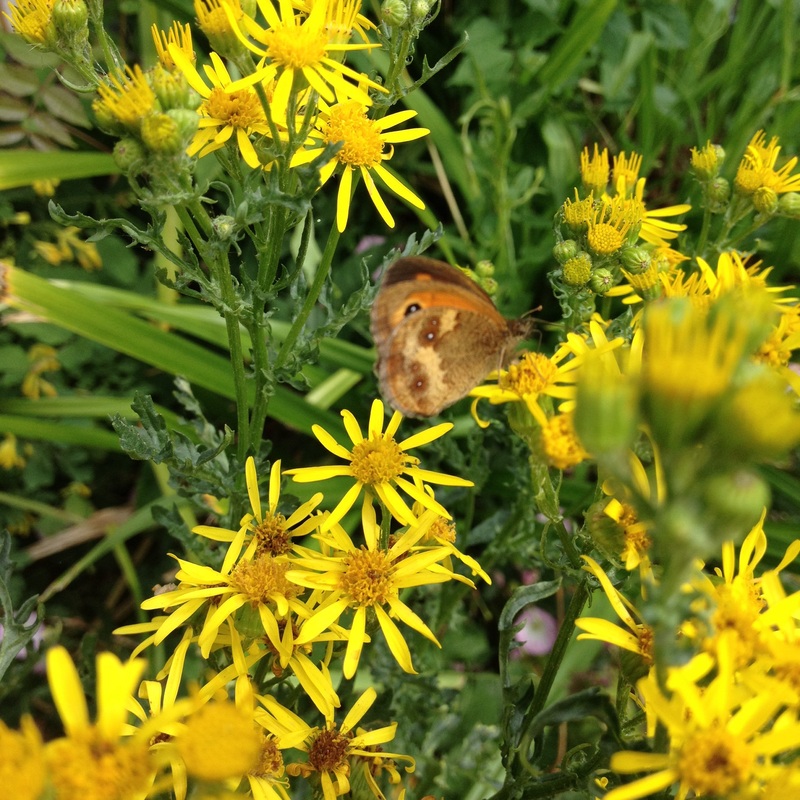 Plants such as the ragwort Senecio jacobaea attract specialist species such as the cinnabar moth, whilst there are many native plants used by our butterflies to lay their eggs on and feed the caterpillars. A couple of good lists of these plants can be found here and here. 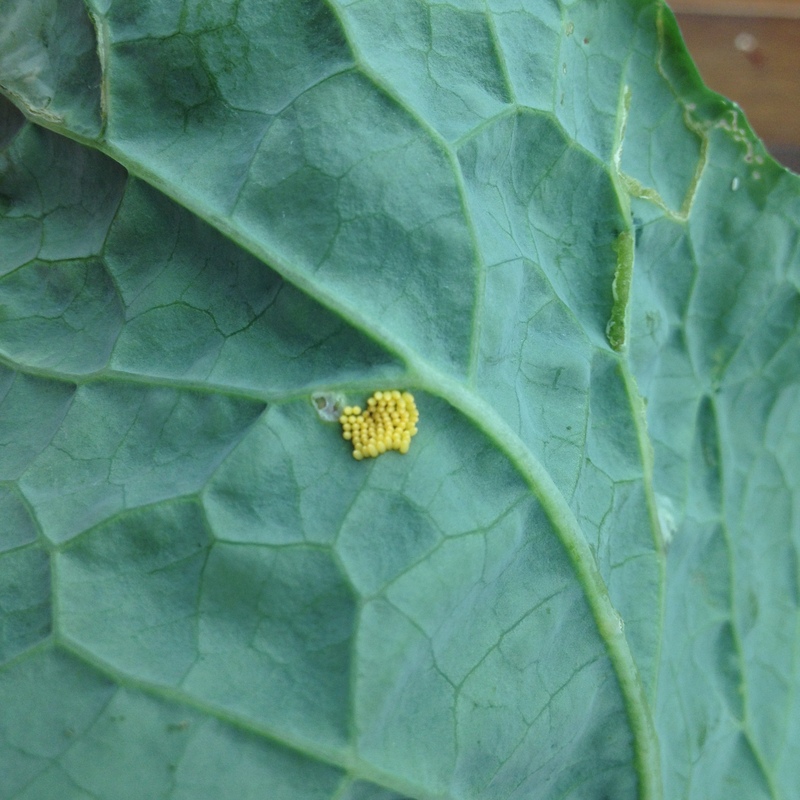 Suspicious eggs (probably large white butterfly) found on the kale growing in our veg patch. 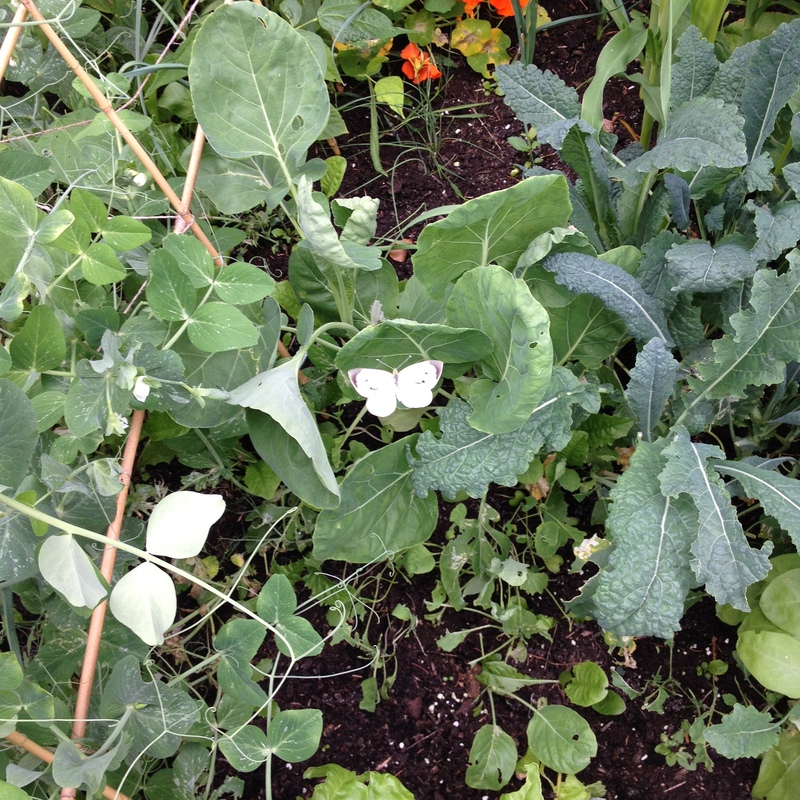 Turns out I am the only one in the family who likes kale, so I’m happy to share it with the butterflies! I just looked out of my bedroom window to see this gatekeeper on the ragwort. Luckily it stuck around for me to take a photo! 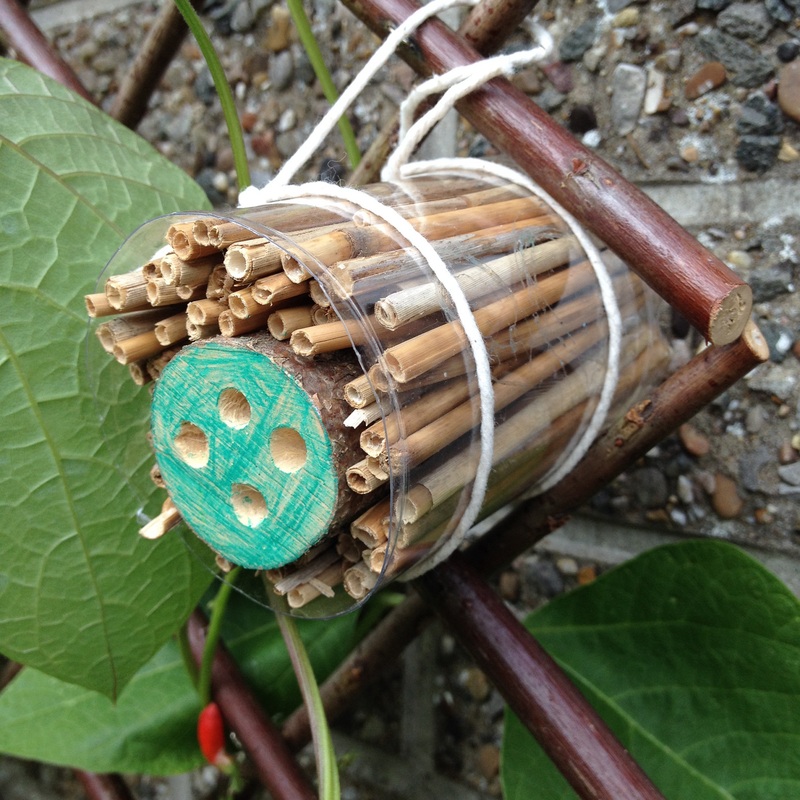 Bee hotels have become very popular and can be found in lots of stores and supermarkets which is great. However, they are also very easy to make too. It is really as easy as drilling some holes in wood or filling an empty bottle with bamboo. The key thing to remember is to make sure that the holes or bamboo are at least 10cm long. There are lots of great tutorials online such as this one or this one. 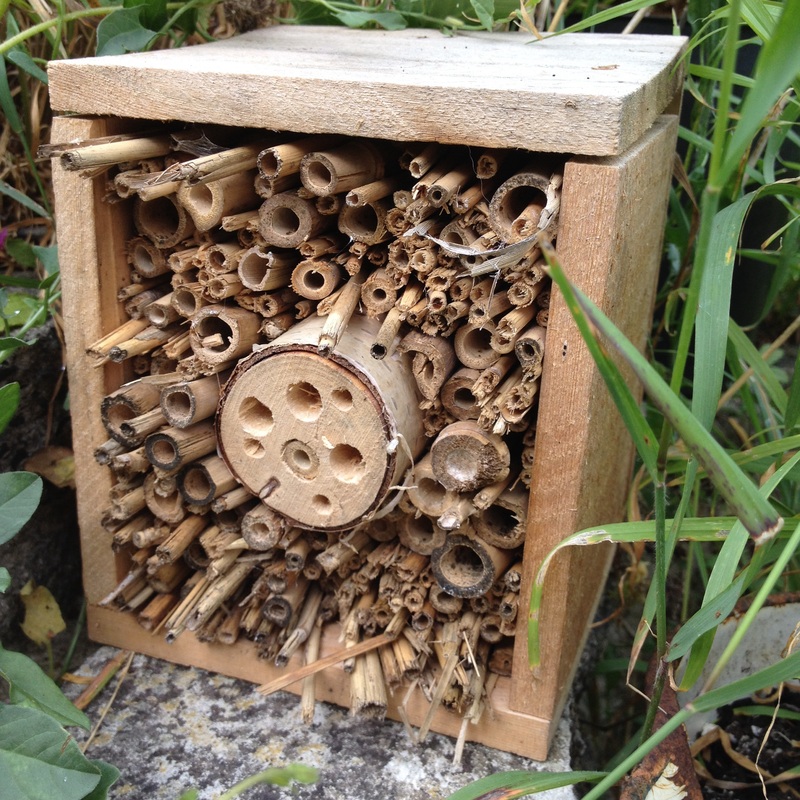 Another bee hotel made by my daughter, no visitors in this one yet. Add any of your own tips in the comments below! ← Choosing Garden Plants for Pollinators; Natives or Non-natives? Great idea for a a blog – I think that your focus on rented accommodation is a really important one; having lived in rented houses on many occasions over the years I know how frustrating it can be and how inflexible some landlords are about how their gardens are used. One thing to add to your list above is to watch out for ground-nesting solitary bees in your lawn or borders, and to avoid disturbing them. Most of the UK’s native bees nest in soil, particularly lighter, sandy soils. Thank you Jeff! I’ve lived in rented accomodation for a while now and have found that wildlife is often an afterthought. I am sure there are ways which wildlife can be encouraged without the tenant forever spending money. As for the ground nesting bees – good point and thank you for highlighting this.